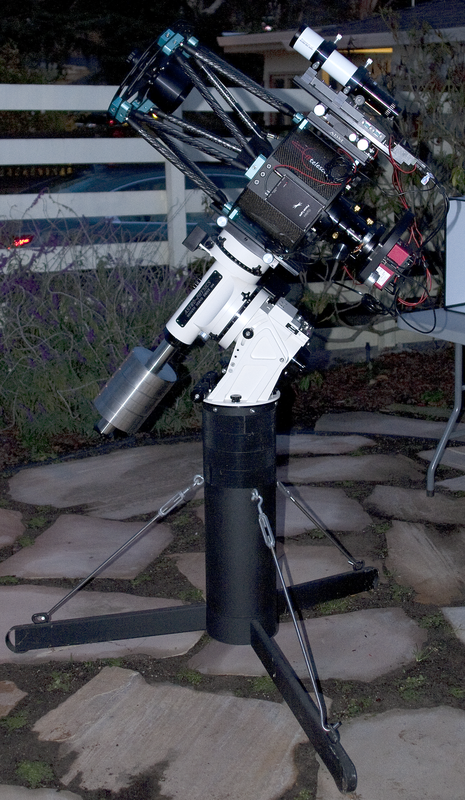 Sofware Bisque Paramount MX+ German Equatorial Mount. 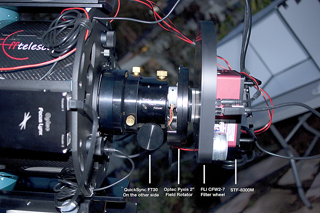 Optec Pyxis 2" camera field rotator. 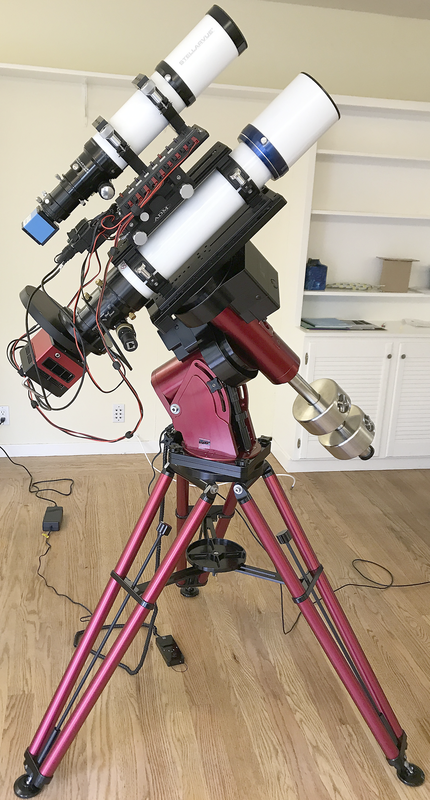 CFF Telescopes Europe RC250 F/8 with a 3" Feather Touch focuser and FocusLynx Dual-Focus Control System and QuickSync FT motor. 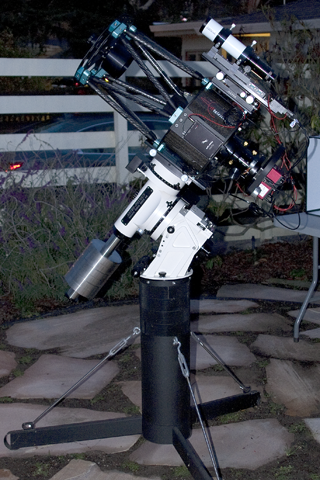 Stellarvue SVQ100 F/5.8 APO quadruplet with an Optec DirectSync SV focus motor. 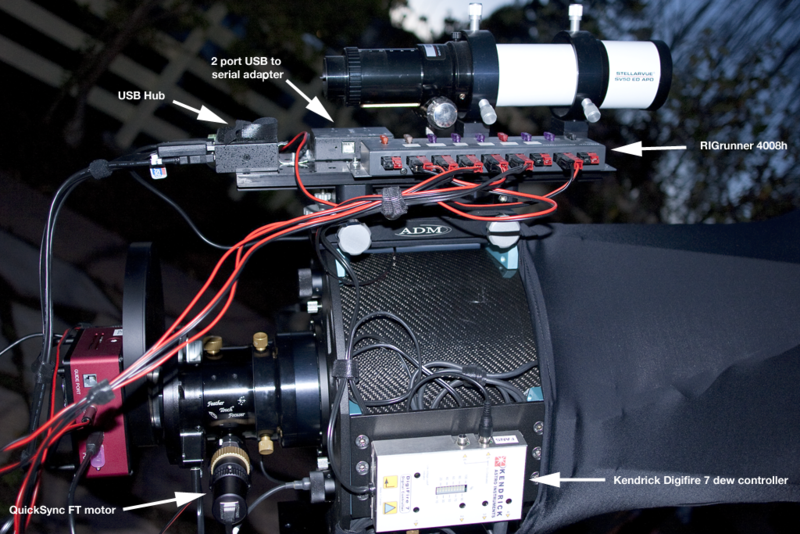 Meade series 5000 102mm f/7.0 triplet ED APO with a 3" Feather Touch focuser and QuickSync FT motor. 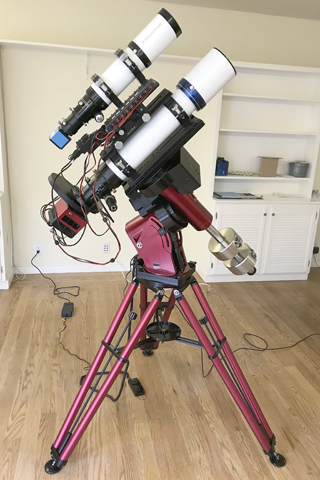 Stellarvue SV80ST F/6 APO Triplet with an Optec DirectSync SV focus motor. FLI ML-16200 4500 x 3600 mono CCD. FLI CFW2-7 7 positions filter wheel. ZWO ASI 174MC-Cooled 1936 x 1216 color CMOS camera. ZWO ASI 290MM Mini 1936 x 1096 mono CMOS camera. 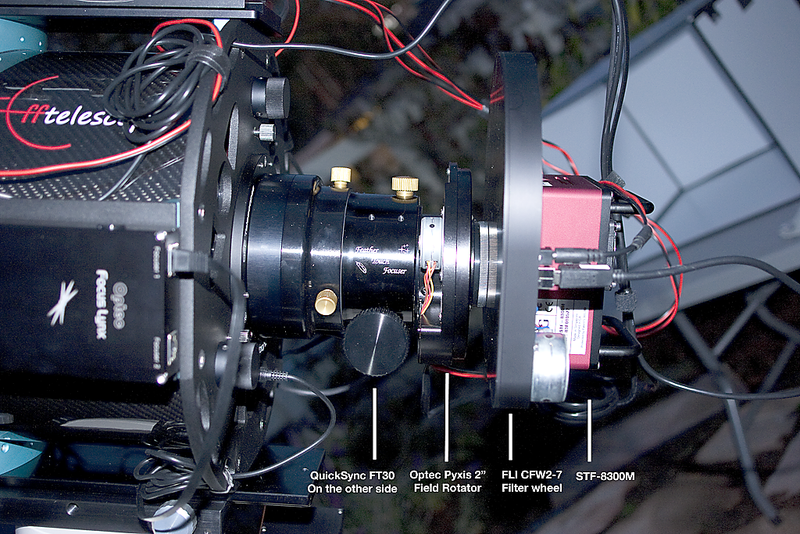 Grasshopper (GRAS-20S4M-C) 1624 x 1224 mono CCD FireWire 800 camera from Point Grey Research (now FLIR). DMK 21AF04.AS 640 x 480 mono CCD FireWire 400 camera from The Imaging Source. 131mm (5.16") Class A Identi-View Solar filter from J.M.B Inc.
67mm (2.64") Class A Identi-View Solar filter from J.M.B Inc.
Antares 0.7x 2" focal reducer. 2 Baader VariLock 46 - variable T2 extension 29-46mm. 2 x 2" extension tubes.